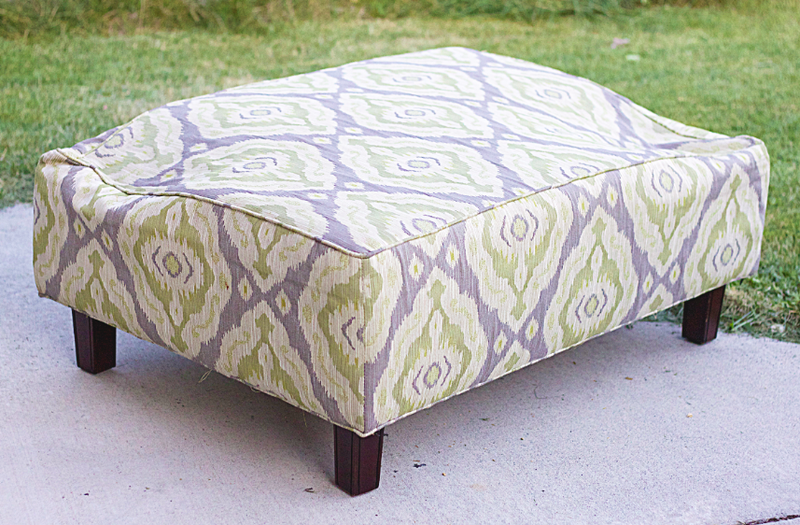 My cute friend was about to take this ottoman to the Goodwill. Before taking it she so lovingly thought to ask me if I wanted it. HECK YES I do!!!!!! We all know how much I love a good project with a whole lot of potential. I mean, so what if it has sunken down sides?? 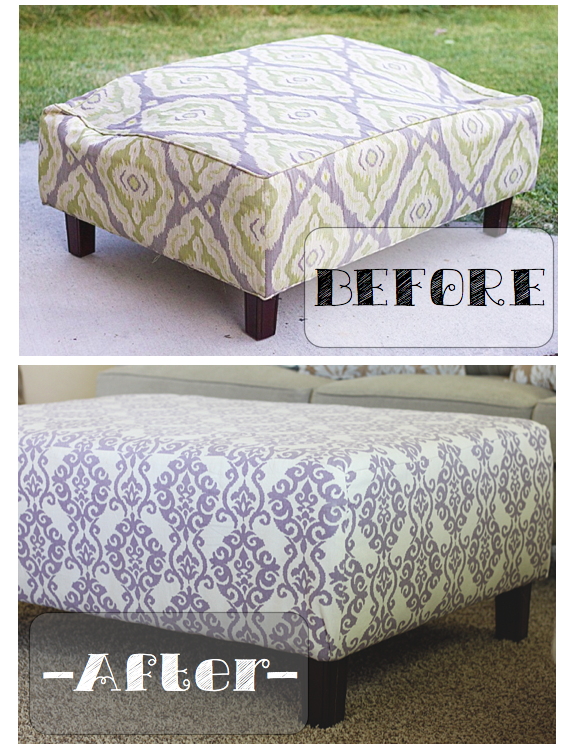 I could see what this ottoman could be with a little love! Isn't the fabric amazing? 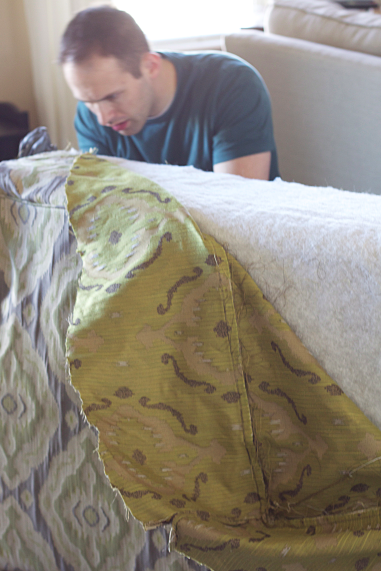 Sadly I had to find new fabric so that we could properly dissect the ottoman and use the frame. This is my motto. "If it's broke don't worry about breaking it more." So that is exactly what my hubby and I did. 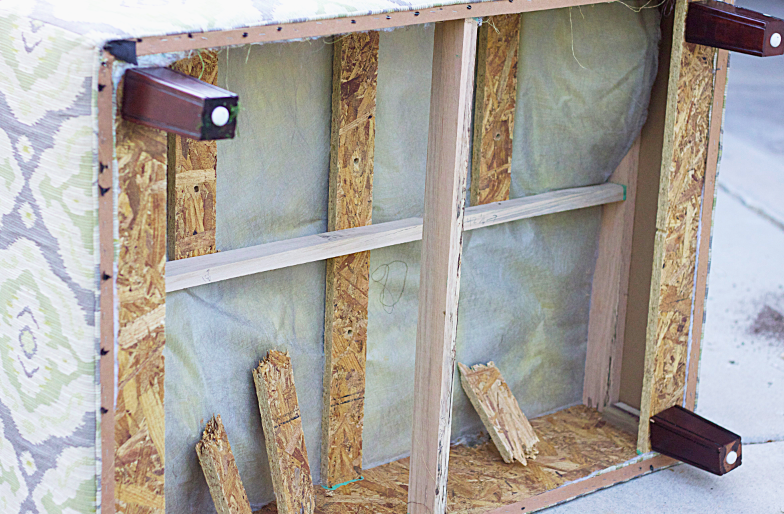 Once I flipped it over and dissected it a little I discovered that it was supported with very flimsy plywood. What the heck were the builders thinking?? No offence builders, but really?! So we ripped off all the beautiful fabric, but saved the white batting. This took patience and mad skill. There were literally a billion staples. ok... almost a billion. 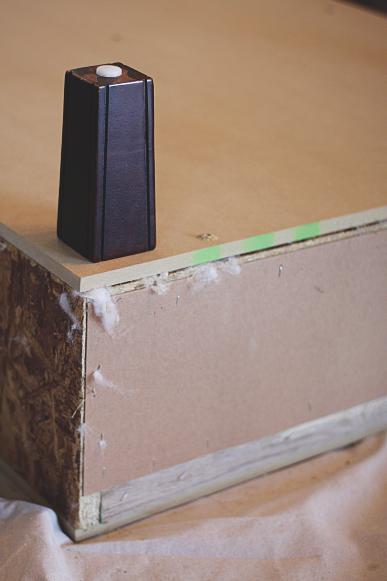 We then measured two very nice and very solid pieces of plywood to fit to the top and the bottom perfectly. No flimsy stuff here. 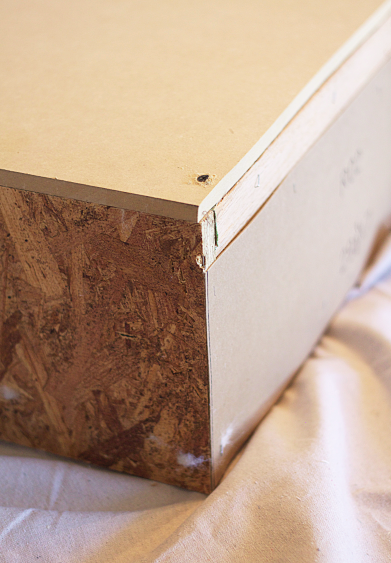 The hubs screwed this into place to make a nice solid box. 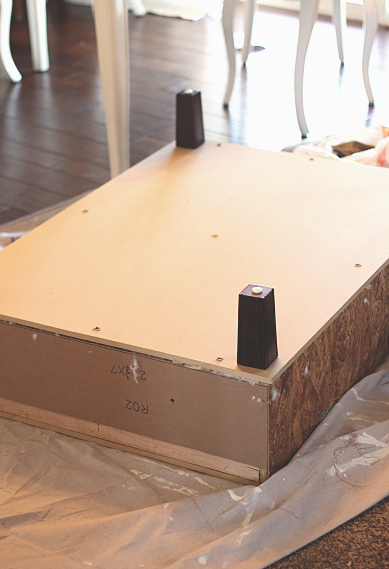 Below you can see the middle is the old ottoman and the top is a perfectly new solid piece of wood. 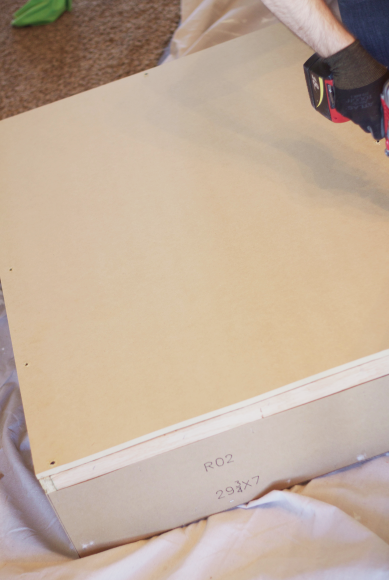 Once he screwed both sheets of wood securely into place on the top and the bottom he drilled perfect holes for the little legs to screw in. Beautiful! 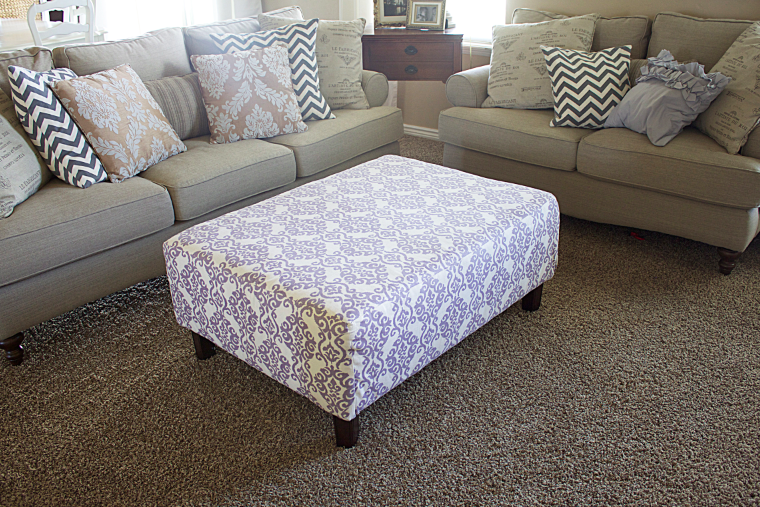 Then I wrapped and stapled the white batting all around the ottoman to make it more ottoman-like and less box-like. 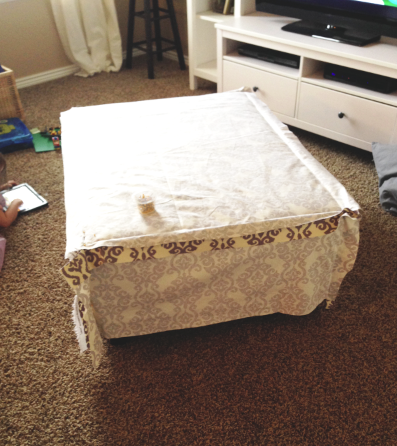 Below, you can see how I fit the fabric to the ottoman. 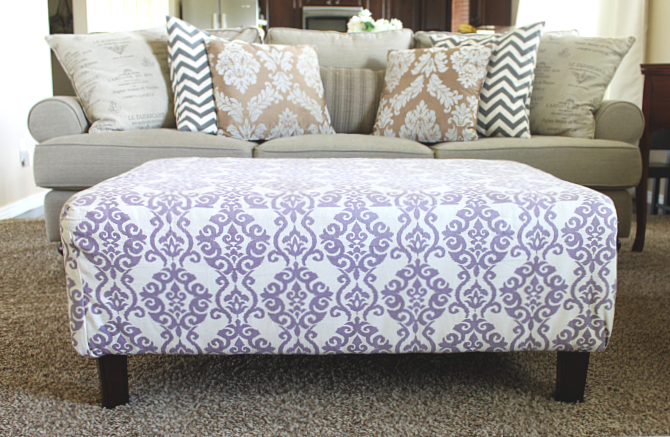 I got my new fabric and fit it all around the ottoman right side facing in at first. I basically made a little slip cover by pinning then sewing. Once it was all sewn together, I put in right side out, and it fit like a glove. 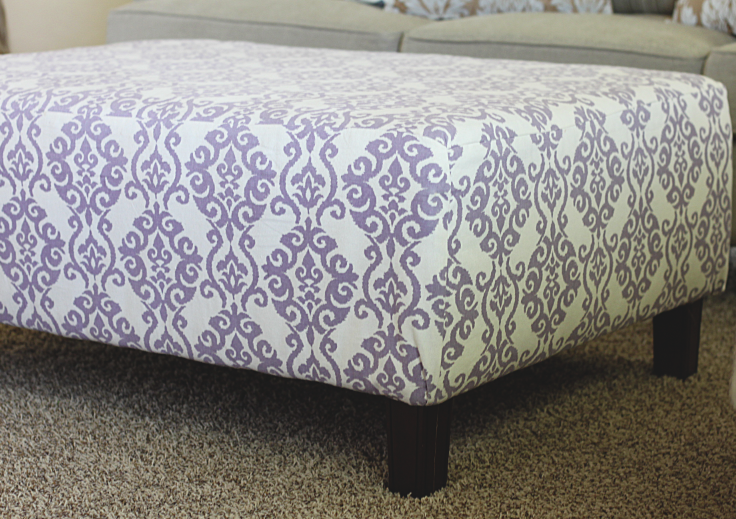 I then stapled the fabric on the bottom of the ottoman to keep it in place. Thank the heavens for husbands and their big muscles! 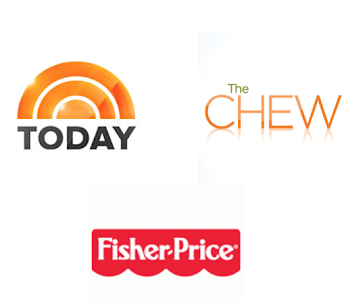 From these projects I have discovered that being fearless helps. Tear things apart to make them amazing! It works! 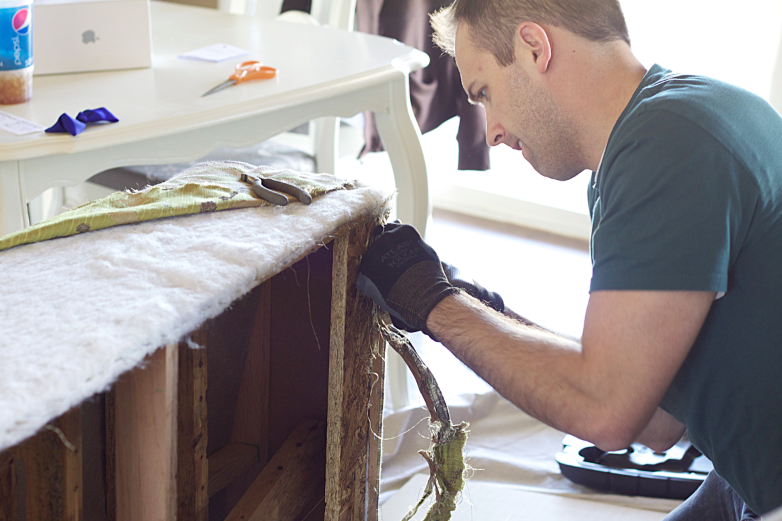 Plus it is super fun to destroy something, and then make it like new! I love your living room!! Where did you get the couches - they're exactly what I'm looking for! HA that is exactly what I was thinking! 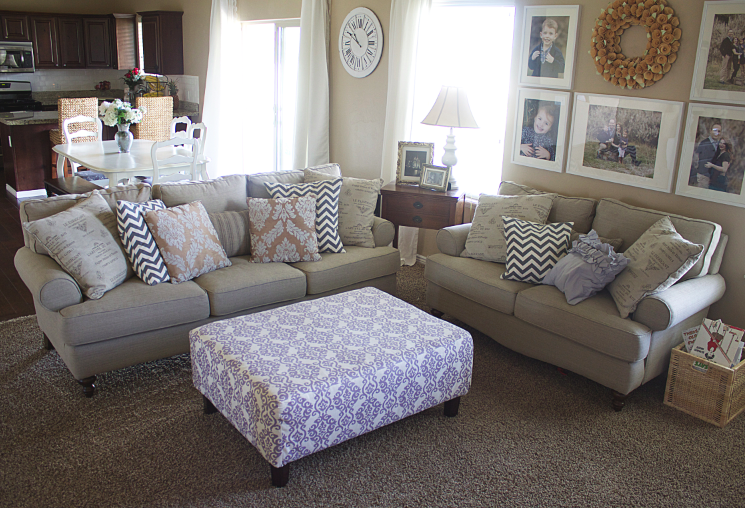 Those couches are exactly what we've been looking for to fit our living room! 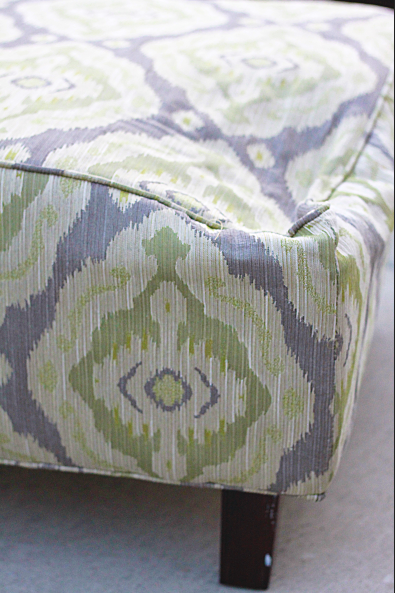 Love the ottoman and how all those colors are so soothing! My corners on my ottoman are doing the same thing. I dont want to reupholster it like you did, i just want to fix the corners. Based on what you did to this, how can i fix the corner without redoing the WHOLE thing.